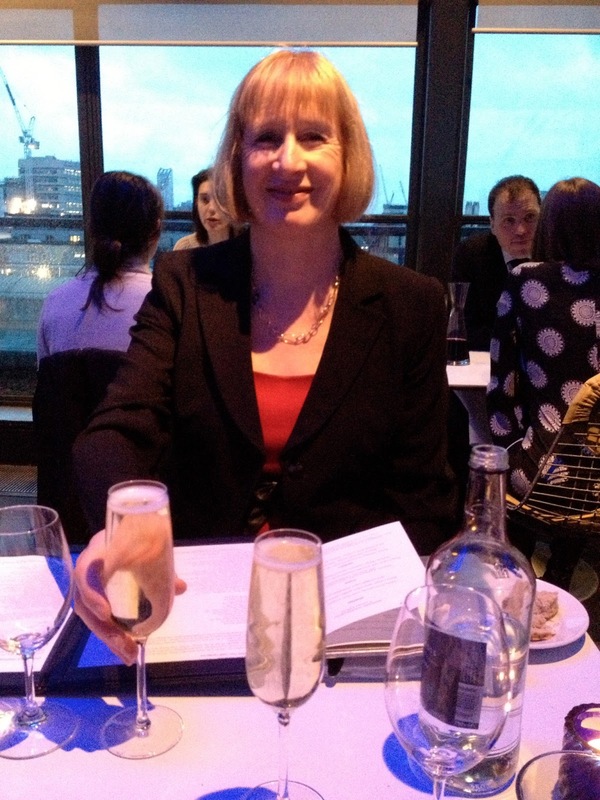 It started out as a LastMinute.Com deal at The Oxo Tower Brasserie. Then Mary decided to see who was on at Ronnie Scott's. 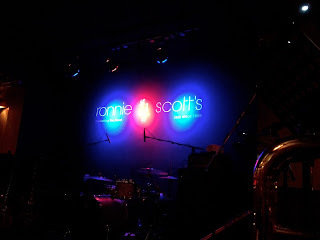 Ronnie Scott's Blue's Explosion was the answer, sometimes featuring our favorite Blues guitarist Marcus Bonfanti. We booked the late show so as to not have to rush our supper. That left the question of how to fill in the time between the meal and the show. This answer was off to The Spice of Life to see what live music was on offer. For a fiver we saw the most excellent Freddie and the Hoares. After a pint of Guinness (preempting Paddy's Day) we still had time to spare so it was off to Kettner's for another glass of champagne. Finally off to Ronnie Scott's for ringside seats - literally - I was right next to the stage, I could touch it with a languid gesture, I could tell the time by the trumpeter's watch. Paddy Milner lead the band (feat. Marcus) and the band put on a great show. To be there, in one of the iconic music venues, in one of the greatest cities in the world, watching a great bunch of musicians playing live - it doesn't get much better than that! We went home late, very late. It was after one am when we stumbled out into the street. A punk stopped me on the street. He said, "You got a light, mac?" I said, "No, but I've got a dark brown overcoat."